Take into account your child’s accelerated brain development in their early years. Yes, there are many things you can do to sculpt your tots into becoming their best selves in the future. But a childcare expert can identify developmental factors that may need careful attention and promote the highest standards of care to nurture their early developmental years. 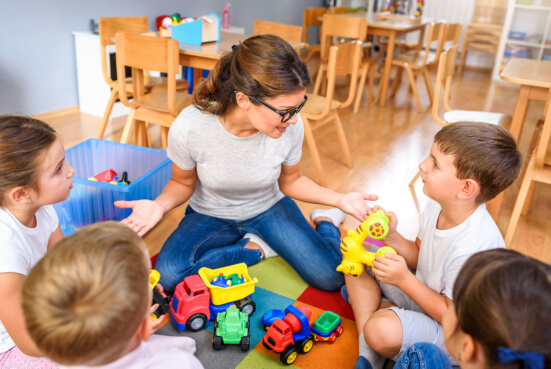 Choosing the right child care provider in Anaheim, California highlights one of the most important decisions a parent must make. Your chosen center will be your partner in cultivating your little learner’s skills and unlocking their potentials for their success later in life. So, how can you determine the perfect childcare center for your child? Check for licenses and accreditations. A licensed facility helps guarantee a center’s reliability and qualifications. Do your research and check if your prospect has met your state’s licensing regulations and has no history of violations. Investigate whether it has earned accreditations from recognized childcare certifying agencies. Look around. Convenience plays an important factor. An ideal center is located within your area of residence or work. It must also be within a safe and peaceful community. Consider looking around your neighborhood for any nearby preschool facility. Ask around. Recommendations from other parents offer a solid start for your search. Try asking around if they can suggest good centers for little learners. Take your time to ask both current and former clients of an institution. Their first-hand experiences can help tell whether a center is of good repute or not. Remember to know if their kids have enjoyed their time with the facility. Talk with a representative from the facility. Yes, you can call the center to ask for important details. However, visiting the facility gives a much better way for you to investigate and interview the staff. Allot some time to physically meet their employees and inquire about everything you wish to know from their caregivers and directors. Determine if their curriculum is age-appropriate. Kids thrive on routines. Having a structured schedule and activities help children adapt easier in this critical transition. You need to explore more about their curriculum if it’s age-appropriate. An ideal center provides enough time for group and individual activities, meals, and play. It must be stimulating enough to both nurture and challenge your child’s development. Make a surprise visit. Once you’ve had your initial trip to the center, drop by unannounced days or weeks after. Observe their typical day of a classroom setting. Consider your budget. Last but not least, have a budget plan and stick to it. Find a preschool center that pays less but offers more for your child. You can also explore your prospected childcare provider if they offer flexible payment options. Looking for a child assistance program in California? Happy Hearts Preschool and Childcare is always ready to assist you and your tiny pupil. Call us at 714-403-7352 for your inquiries. Share these tips with other parents, too! This entry was posted in Child Care Provider and tagged Best Childcare, Ideal Center, Licenses and Accreditations. Bookmark the permalink.